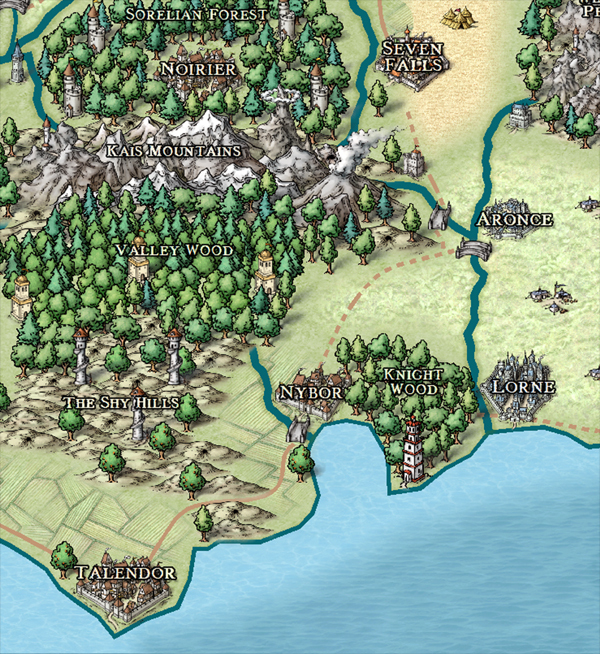 I uploaded the map for The Ever Fiend (Talon Stormbringer, #1) to the website today. Have a look! Now when characters call him “the Nyborian,” you can see where that means he’s from. The story takes place in Talendor and includes a sorelia (one of my races) from the Sorelian Forest. I should be doing this for every story, including these not only within the books but here on the site. Free eBook Coming in 2016!